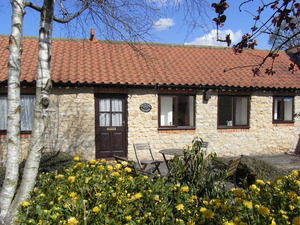 Our cottages for couples are comfortable and cosy so you can kick off your shoes and relax after a day out exploring. Nearby, the Georgian market town of Bedale has plenty of charming cafés, pubs, restaurants and lots of independent shops to browse. We can promise you a warm welcome at the community owned village pub The Exelby Green Dragon, which is only a few hundred metres down the road. Scroll down to see pictures of Ploughman’s and Orchard cottage or click the button below to be transferred to our booking site where you can check availability and prices. Whether you want to get out and see some spectacular scenery, sample Yorkshire’s best artisan food and drink or just snuggle up for the weekend we’ve got you covered.